In the area that previously used to be Västerbotten historic regiment I20, you can find the location of Umestan business park – one of the Umeå region’s most attractive places for business and development today. We offer a wide selection of premises for both large and small businesses, ranging from workstations to entire buildings for the larger company. We take care of the comfort and technology so that our customers can focus on their activities. Just as it should be. 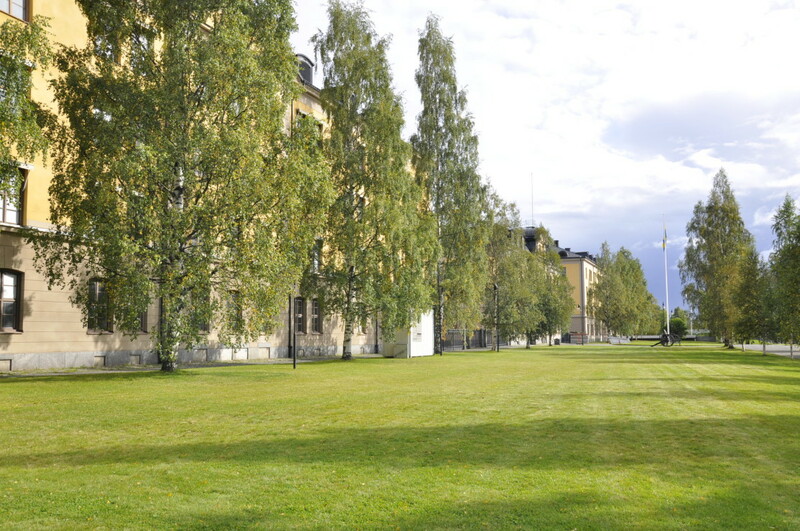 Umestan business park is located in the former area of Västerbotten Regiment I20 – a vital activity for Umeå’s development for almost a century. But the regiment actually has roots as far back as the 1600′s and has played an important role in a wide variety of historic battles and conflicts. Although the military operations were shut down in 1998, the area continues to be a hub for Umeå’s growth, now as one of Umeå region’s most attractive places for business and development – Umestan business park. Umestan business park consists of about forty buildings which currently houses about 120 different tenants. Around 3 000 people move within the area every day. We house companies and businesses in areas such as education, technology, culture, information technology, healthcare, media, local government and restaurants. We also have our own conference facility, Umestan conference. Here you are surrounded by a dynamic diversity of skills, which can inspire new ideas and empower your company or business. Your company or business is easy to reach here. Umestan business park is only a stonethrow from Umeå city which means a few minutes walk to the town center with its hotels, restaurants and transport such as airport bus, buses and trains. Our large parking lot provides plenty of parking spaces for your customers or visitors. If you prefer to take public transportation, you can select one of the several local bus routes with stops at Umestan business park. Here at this website you can see which of our premises that are vacant right now. If you are interested in finding out more about the solutions we can offer you – do not hesitate to contact Emma Zackrisson, our rental manager.